| Look good, feel good and spend right! Look good, feel good and spend right! About 5 years ago I decided to start De’ Mel and it has been the most fulfilling personal entrepreneurial experience. I managed to apply much of my knowledge acquired through the years and transmit the multicultural richness that I have witnessed throughout my life. I have also learned a lot, especially to manage our expectations and to face difficulties and struggles that any business venture brings. But as they say we learn from everything we do and I certainly appreciate all the lessons that this venture is providing me with. I am so grateful to all the people who have helped me grow De’Mel internationally even with the slightest thing. Every one of you has made this experience rich and fulfilling and our returning customers are the proof that our product is a keeper! Having said this, in the next year we are thinking of new projects regarding D’Mel and we will be sharing news soon. We also want to especially thank Alejandro Di Paz for his amazing support in NYC. His new brand Alejandro by Alejandro DiPaz is taking off steadily and De’Mel has been privileged to have been present in the Showcasing of his products at Adler Atelier on East 58th Street ‘Designers Way”. Now that 2018 brings much hoped for all we are excited for new comping projects and inspirations! We are extremely happy and proud to have been featured in the latest campaign for Alejandro by Alejandro Di Paz NY. His new and exquisite designs are promising a new and fresh addition to the multicultural and trendy fashion options you find in New York. Not only is he mixing his multicultural background and traveling experience in his unique pieces, he is also showing a variety of accessories such as shawls and Ready to Wear. We wish Alejandro Di Paz all the success in this new venture and look forward to collaborate with him not only now but also in future editions of his shoots. In the following pictures you can see De’ Mel Venetian lace Leaf Shape earrings in Pistachio Green and white quartz (semi-precious stones) and De’ Mel Venetian lace maxi necklace in Black with pink quartz (semi-precious stones) here featured as a headpiece. 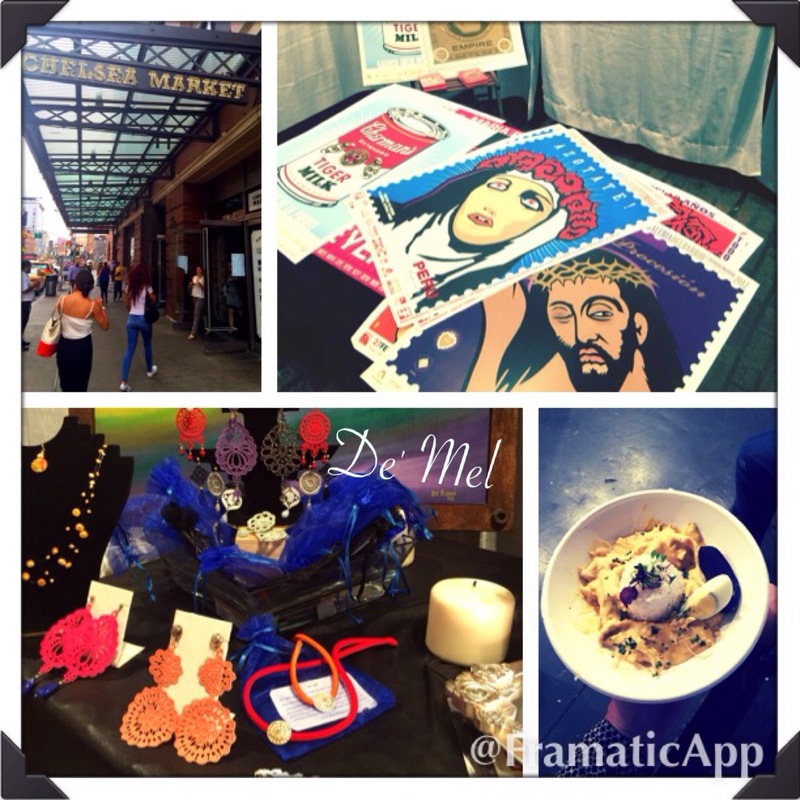 De’ Mel is proud to have participated in the PERU SHOW which was held at the Hot spot Chelsea Market in the famous Meatpacking district in NYC this summer! The event was on for a whole week from July 27th to August 2nd and thanks to our NYC Rep Alejandro and his “Gifts from the Andes” stand De’ Mel was able to participate in this Peruvian Week of fashion and gastronomy. The amount of visitors of the event was amazing and there were people from all over the World as only NYC could offer. So the nice weather is back and we prepare for a fabulous warm season. We are very happy to have been featured in the upcoming ad for new fashion designer Francisco Casals in New York City. The final result will be out soon but we can already share some preview pics! The nicer temperatures and a recent holiday to Dubai and Abu Dhabi gave us some inspiration for NEW De’ Mel creations and we can’t wait to share these with you. Pics from our trip also below. Last but not least our video interview for Panoramica Latinoamericana a very trustful magazine that kindly got to know De’ Mel and her founder Melanie Gonzales Prestes Maia better. Soon the link the this on our blog. Enjoy and much more to come! 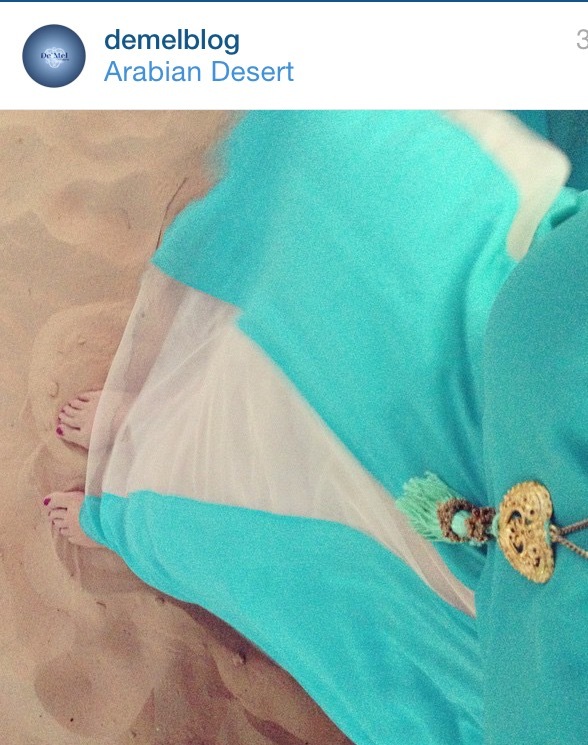 De’ Mel in Arabian Desert with light Gold Venetian lace drop shape earrings with NEW De’ Mel Vintage gold color metal heart with turquoise tassel. NEW De’ Mel Vintage gold color metal heart with turquoise tassel. 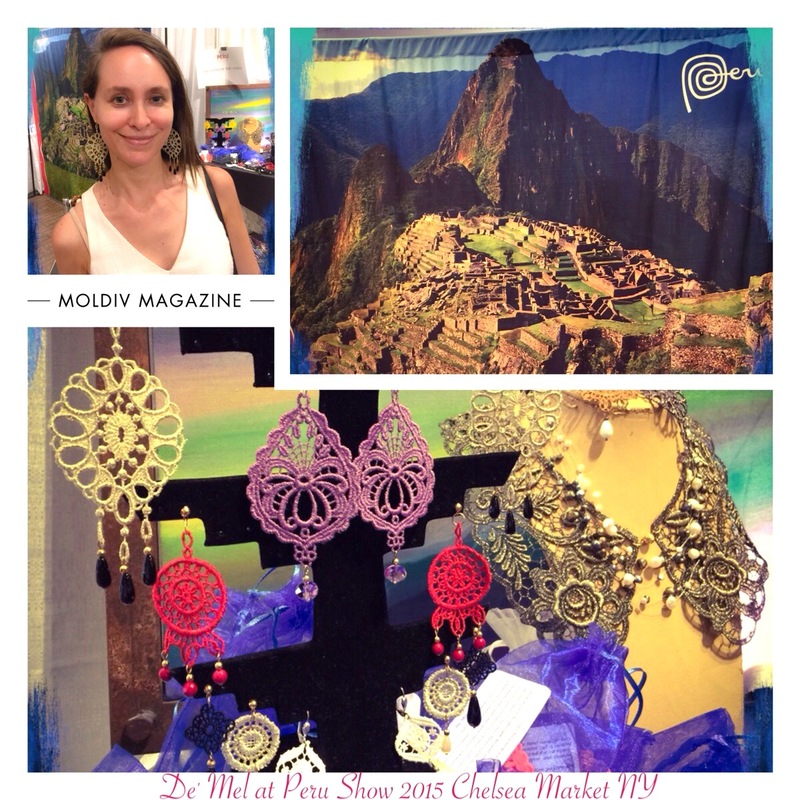 Back from silence…New York Christmas Bazaar! Welcome December and countdown to Christmas 2014! The picture at the bottom of this page will explain why I haven’t been very active lately and also why I am coming back with new ideas and lots of news for De’ Mel. 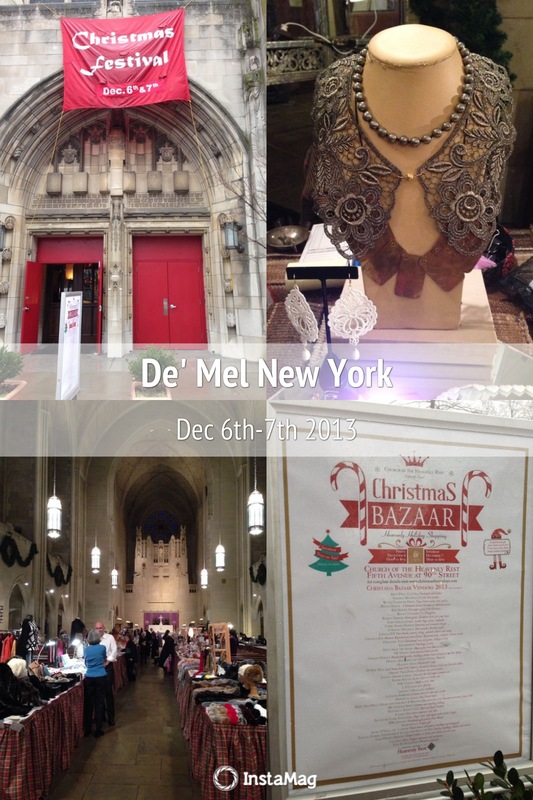 Where to find De’ Mel this Christmas? Let’s start by sharing with you all of you our next event where De’ Mel will be present. It will be in New York and for the second year in a row we will be participating at the unique Christmas Bazaar at the Church of the Heavenly Rest. The event will take place on December 5th and 6th at 5th Avenue and 90th Street. This Christmas Bazaar provides an opportunity for exceptional holiday gift shopping and the Christmas Festival has become an important fundraiser where part of the proceeds help to support the mission and ministry of Heavenly Rest. De’ Mel will exclusively be available at the “Gift from the Andes” stand (First stand on the left) and you can ask for Alejandro! Don’t forget to tell your friends in NY and get your unique Christmas gifts! 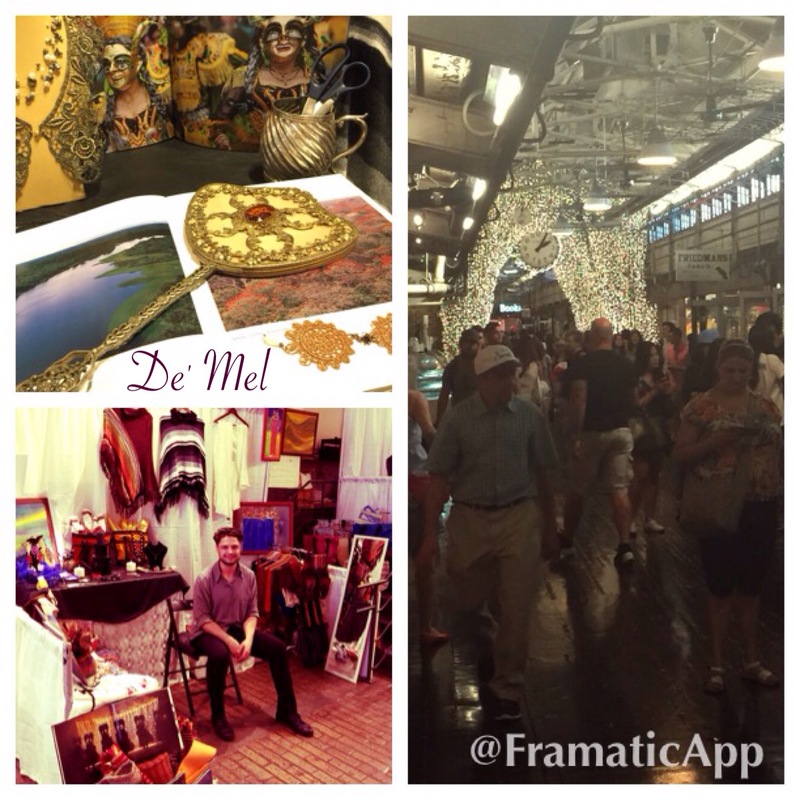 Very soon more De’ Mel news and pics from our New York. I got my Christmas present early this year! Welcome Spring and its beautiful Cherry Blossoms! 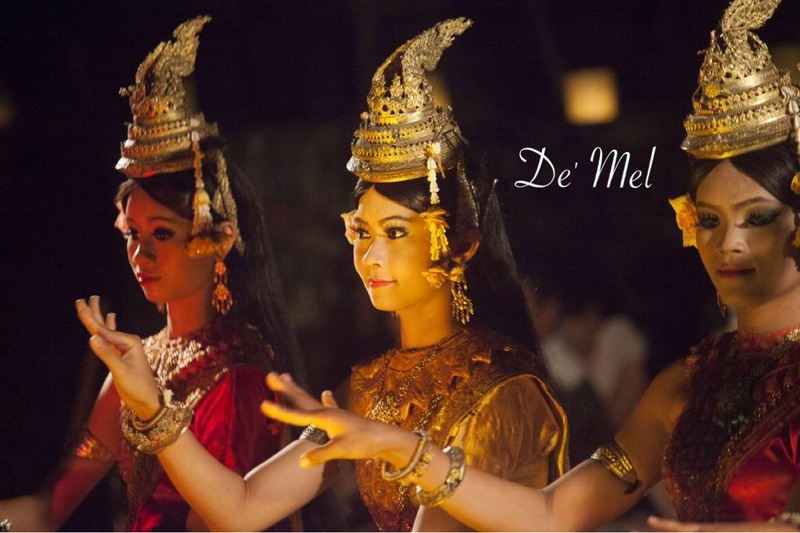 With a new warmer season we are happy to create and promote De’ Mel this 2014 particularly in the American continent. 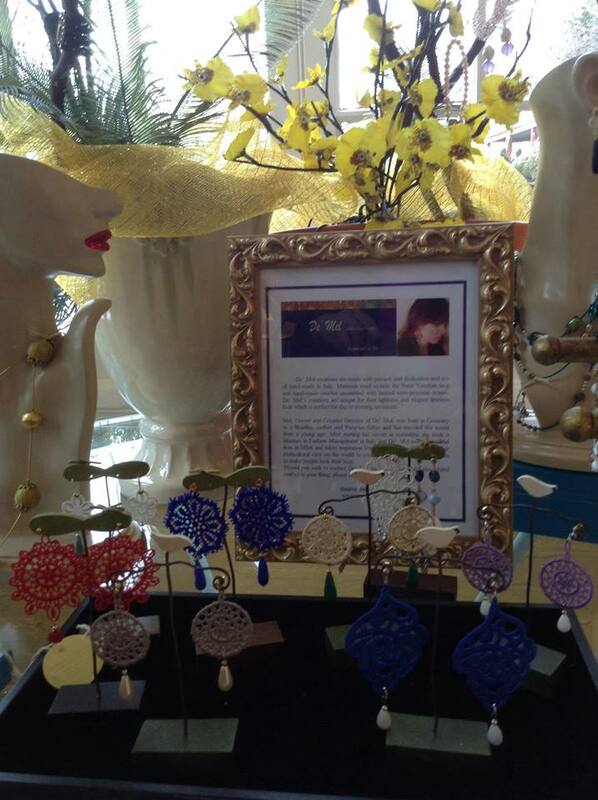 A wide variety of our collection is available now at in the North East, particularly in a Wellness Retreat in Morristown- New Jersey called Bellezzasi managed by the talented Caterina. De’ Mel creations can be purchased at this exclusive European skin Care and Body Work studio. We invite you to go and visit www.bellezzasi.com and should you be in the area go and book a treatment there. Apart from the fabulous treatments you will get to experience them in a beautiful historic Morristown Mansion. Next in our events list, De’ Mel will be present at a Spring Shopping Event in New York featuring Work Order reversible pants, Ocnarf Jewelry and Dowry Designs! Ladies if you are looking for a nice pair of De’ Mel earrings or other pieces of our collection book your agendas for May 6th and 7th! From 5.30 pm till 9.30 pm on both days. Tell your friends who are in New York and enjoy a nice event and meet new people! Looking forward to seeing you there where our representative Alejandro Di Paz will welcome you and guide you through our De’ Mel collection. Last summer a couple of friends of mine got married, both in exclusive and romantic locations as many of us would only dream of. De’ Mel was present in all weddings in various ways and I wanted to share with you ideas on how to stand out of the traditional wedding favors for your guests and personalize your gift with unique De’ Mel pieces. 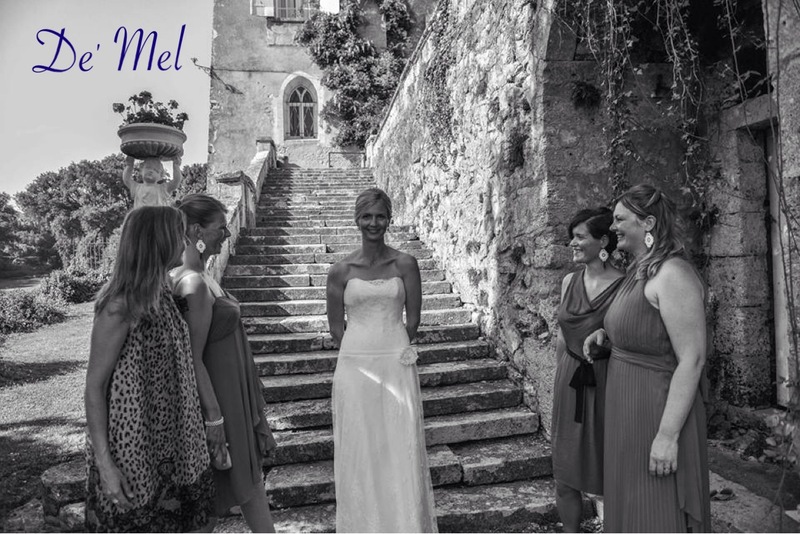 My good friend Alison, chose a Castle in the South of France as the location for her dream Wedding and as such the layout and the whole atmosphere was magical. 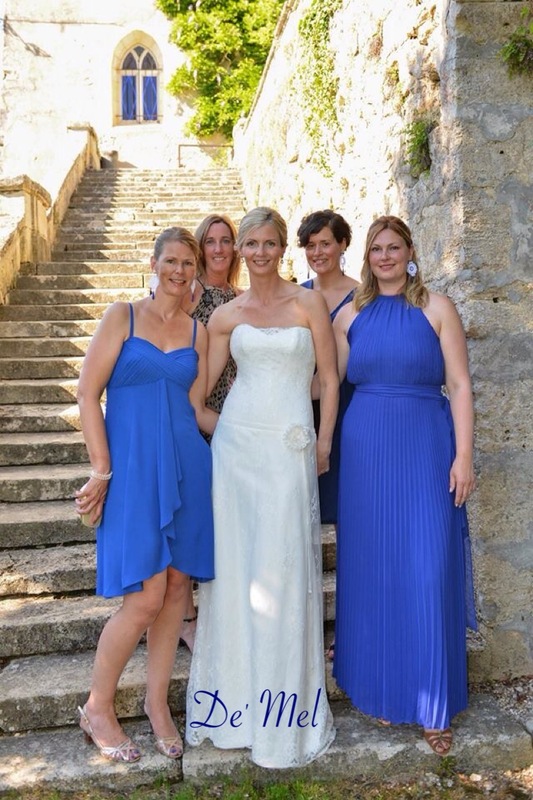 She chose to gift her bridesmaids with something special that they could wear for the ceremony and keep forever as a nice memory of their best friends wedding. 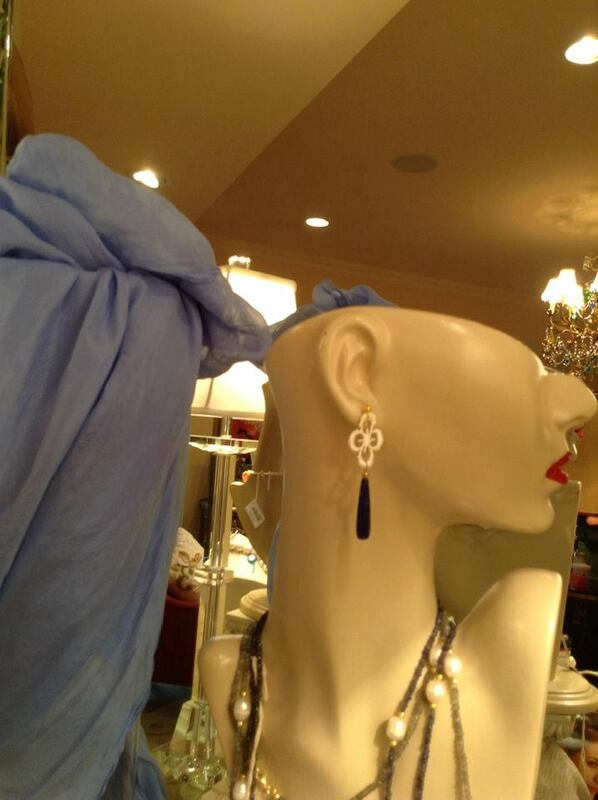 Alison chose De’Mel white Venetian lace earrings combined with a tear drop shape opaque sapphire stone with 925 sterling silver setting. The earrings looked beautifully on all bridesmaids and De’ Mel was honored to be present in such a wonderful moment for Alison. Melinda, another great friend of mine, had 2 weddings in different parts of the World. She chose Las Vegas for her civil Wedding and Cambodia for the Religious Wedding. As the name says it, the Las Vegas wedding was full of glamour and partying! 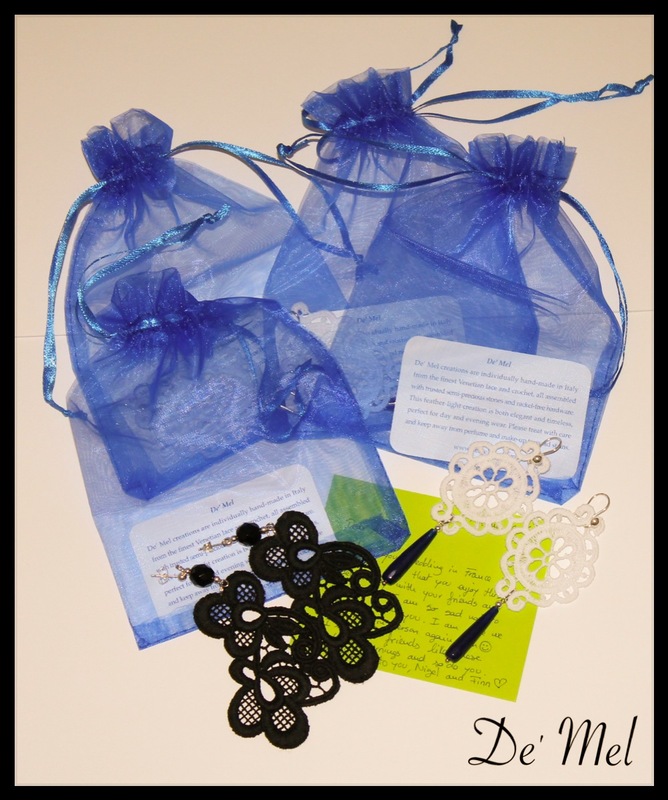 Melinda chose to gift all her girlfriends who joined Vegas with De’ Mel white Venetian lace earrings all set with different semi-precious stones so that her guests could choose according to their preference. For the Cambodian Wedding Melinda set the bar very high by having her ceremony in a traditional Buddhist ceremony followed by a black tie dinner in one of the Angkor Wat temples. You can only imagine how special and magical that setting was. 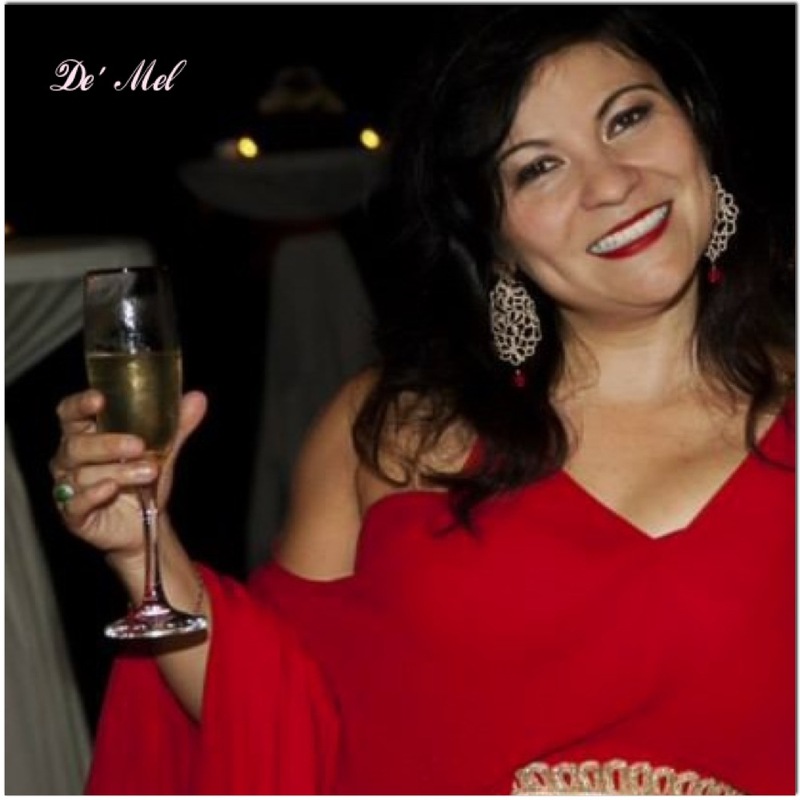 Most importantly, Melinda chose to wear De’ Mel Venetian Lace Princess earrings in Gold color to match her fabulous Haute Couture Red Wedding dress designed by Italian Fashion Designer Nicolo Grechi. 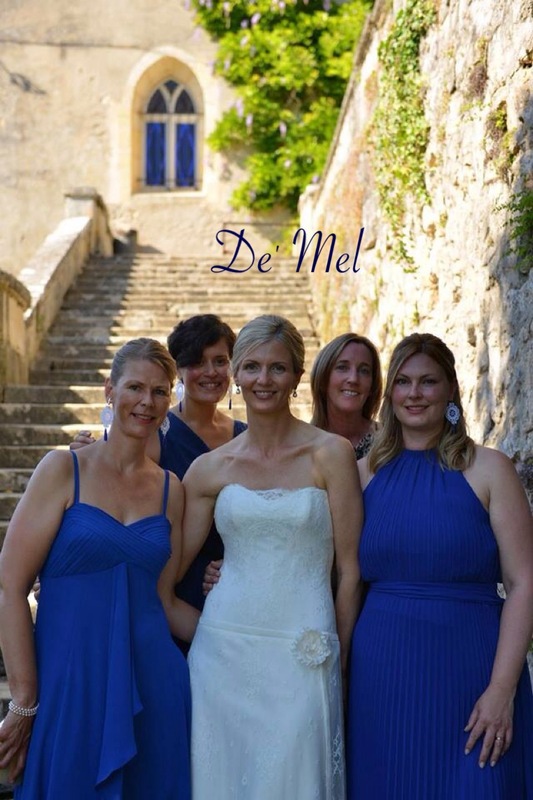 I could continue describing these amazing and magical events but nothing says more that the following pictures… Oh one last thing: Thank you beautiful brides for having De’ Mel be part of your special day. It was an honor! As 2013 comes to its end so does and incredibly productive, creative and successful year for De’ Mel.De’ Mel was born in 2013 and we are happy to have started a new adventure that is just at its beginning. Thanks to our various events in Milan and New York we have managed to get De’ Mel a very loyal customer base and we continue to get new fans on a daily basis. We continue to constantly create and will be coming back in the New year with brand new proposals as we get inspired during the holidays. We also plan to organize more events in other cities so stay tuned! We wish you a wonderful Christmas and an amazing start to 2014 which we hope will be a great year for everyone full of positiveness! 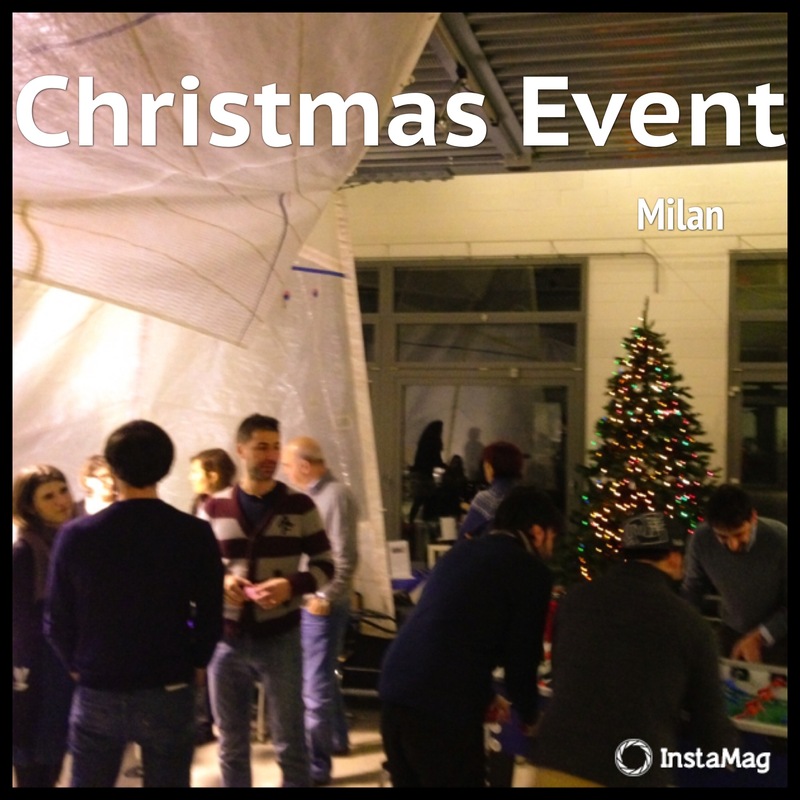 Last week end we had our first Christmas event of the year, held in Milan and apart from De’ Mel we had Valentina Bakery World cakes and sweets partnering up with us. The setting was delightful in a luxurious Loft in the Navigli zone of Milan with open and modern spaces. The weather seemed to also be perfectly in line with our theme as we got the first snow of the season that day and the Christmas vibe was more than what we asked for. 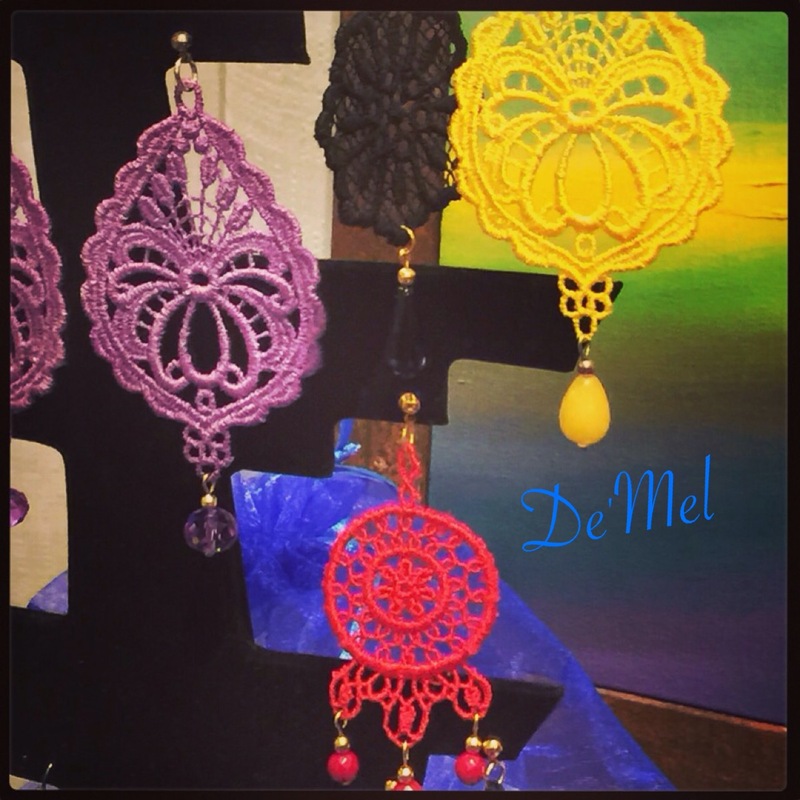 De’ Mel showed her displayed her signature Venetian Lace earrings in various sizes and colors for the Winter and also her new Venetian Lace Necklaces and velvet-vintage button bracelets. All items are perfect gift ideas for this Christmas. Valentina Bakery World displayed some of her Christmas themed cookies, mini and full sized cupcakes and a stunning cake decorated with look-alike Venetian lace which apart from being delicious was especially matched to De’ Mel creations. Her sweets were apart from beautiful and carefully made also irresistible and we were very happy to have her as a partner for the event. After a cozy and wonderful afternoon together I would like to thank all our guests who came and made this event special and thank dearly WonderOri Ltd for having lent us the beautiful Loft where this Trunk Show took place. Summer seems long gone here in Europe and so we prepare ourselves for a cold winter and to dress up our lovely figures and accessorize accordingly. I am not a big fan of winter as I definitely prefer the lovely warm sunshine and tropical fruits and colors that can be enjoyed in summer months. However the magic that winter and its holidays brings in northern hemisphere countries is very unique and leaves me every year breathless when I see tree leaves fall and Christmas decorations that start illuminating most cities beautifully. Then, if we are lucky, we get to see fresh snow and get inspired by the white sand that makes Christmas only more magical and lets us hope for great family bonding time. 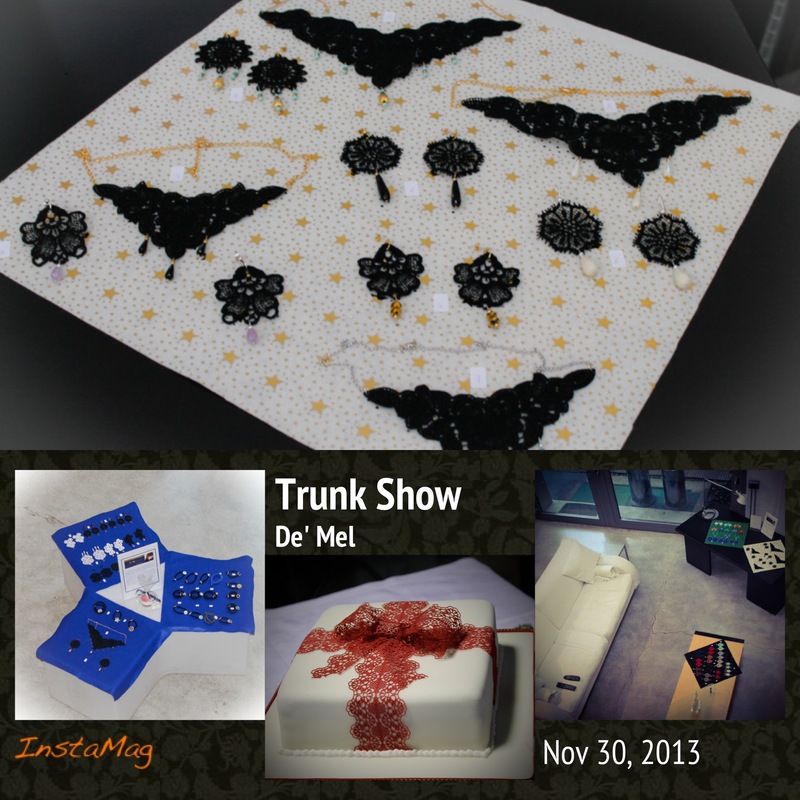 Fall/Winter has definitely inspired De’ Mel in its new creations and what a perfect time to gift De’Mel to a close friend, a colleague or a family member than Christmas?! Coming up we have in store a couple of events that will fall perfectly in time with your Christmas Shopping. 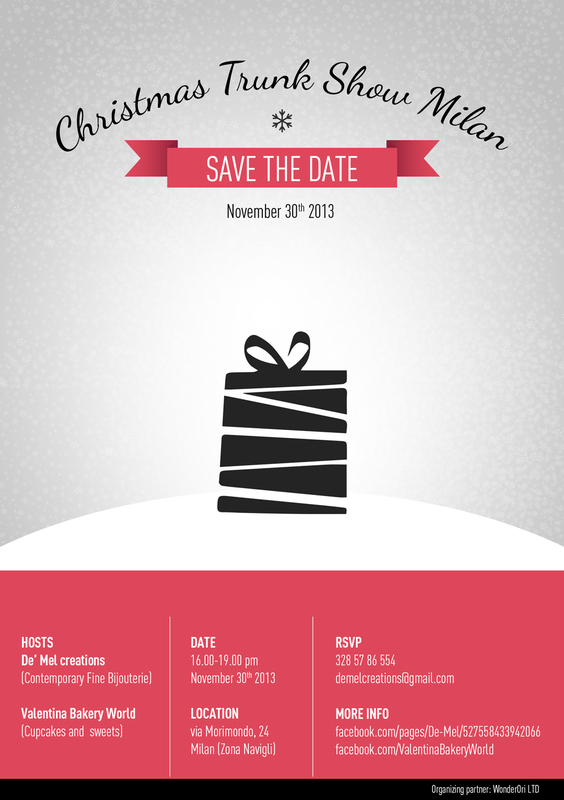 One event will be held in Milan on November 30th and we have in store a couple of events in New York City! Check out the details for our Milan event and more details on NY events will come soon! 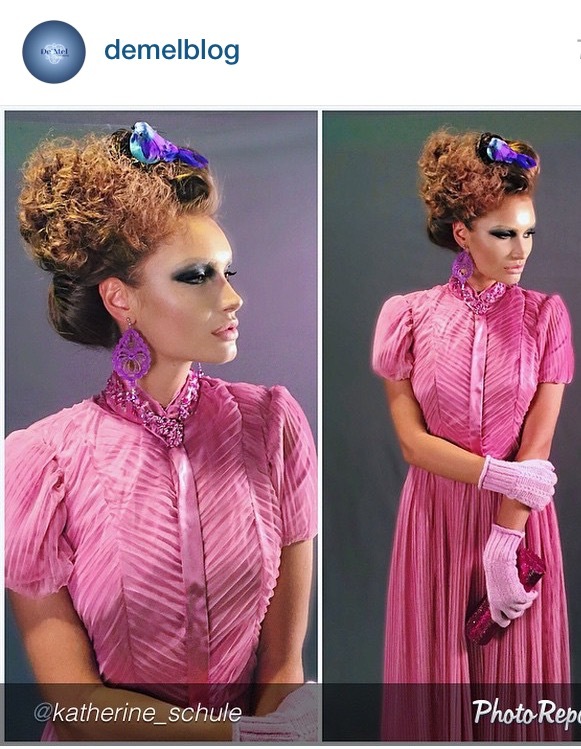 Giving a unique piece for Christmas not only shows how much you care but it will make your friend or family look fabulous throughout the holiday season! This time in Milan we are partnering with Valentina Baker World and our guests will be able not only to taste her delicious cupcakes and sweets but also purchase gift sets! See you in Milan on November 30th! !